In his 100th year, life is finally looking less absurd for Filipino WW II veteran Celestino Almeda. On Wednesday, he will be a speaker at the special ceremony honoring all Filipino Veterans of World War II with the Congressional Gold Medal. And while that is quite an honor, it comes on the heels of a major personal victory for Almeda at the Veterans Administration. Last Friday, according to sources close to the situation, Almeda won his appeal for the equity pay due him as a member of the United States Armed Forces of the Far East USAFFE). As of Oct. 1, the VA says 42,755 applications were processed with just 9,310 approved for the $15,000 lump sum. Those are the veterans who are currently living in the U.S. Another 9,670 veterans who stayed in the Philippines were approved for just $9,000. Over 23,775 claims were rejected however. And until last Friday, Almeda’s was one of them. Now he will join the group that has been belatedly awarded more than $226 million by Congress. A handful of appeals are still in the works on behalf of other individuals. At this point, there is still $56 million remaining in the Filipino Veterans Equity Compensation Fund established by Congress. Not enough to field a decent NBA basketball team. But just try getting at the money. Almeda knows the process has rivaled the Bataan Death March. But then, it’s not about the money. 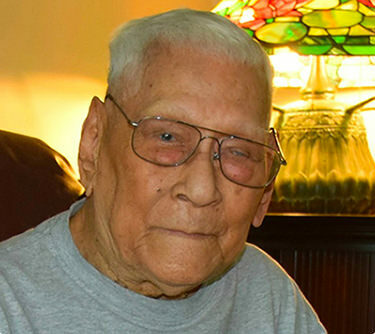 When I sat with Almeda in his Washington, D.C. area home, just days before his 100th birthday, he was fast approaching status as one of the oldest living Filipino veteranos. 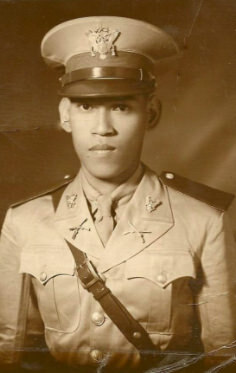 And he was still fighting for the equity pay that was promised when he joined the Philippine Army, answering the call of President Roosevelt to serve the United States Armed Forces of the Far East. That promise was taken back with the Rescission Act of 1946, and ever since then, Almeda has remained adamant that the promise be kept. The problem was his records. The official records of the USAFFE have long been stored in St. Louis, but Almeda’s name could not be found on the Army’s official roster. Almeda, however, had meticulously kept his own original records of his service, all of them signed by American officers. But they were not considered official documents–at least, not for the purposes of equity compensation. It was enough to receive a VA card for some benefits, and even to get U.S. citizenship. Through all these years, Almeda stood up for his rights. He held tight to his records and kept up the fight. Even retired Major General Anthony Taguba, the Filipino American who rose to fame investigating the Army’s Abu Ghraib scandals, saw the absurdity of Almeda’s situation. He helped Almeda obtain a lawyer last summer to bolster the appeals effort. Almeda’s advocates had long insisted the VA’s own revised regulations allowed room for some discretion as to which documents and records could be honored. Maybe that’s what did it. Or maybe it was due to the bipartisan push for the Gold Medal. Or simply it was just time for common sense to prevail. After years where the U.S. policy had been one of attrition as veterans died fighting for their rights, Almeda has outlasted them all and won his appeal. When I talked to Almeda last summer he said that through the years he would get angry about his situation, but that often passed. I asked him in the summer what he would say if he ever won his fight to win equity pay, what would he say to his bureaucratic foes that have stymied him for all these years. Winning the appeal was one thing. But that very sentiment of gratitude will surely be part of his speech on Wednesday when he accepts his Congressional Gold Medal with other Filipino Veterans of WWII.